Injuries suffered in an industrial truck crash are not easy to recover from. Get the compensation you need by working with a Taylorsville truck accident lawyer. Were you badly hurt in a commercial trucking accident? These wrecks can be deadly, and the fortunate ones suffer only minor injuries. Regardless of how bad your injuries are, you can file a personal injury lawsuit as long as the truck driver or someone else was to blame. The key to a successful claim resolution is hiring a Taylorsville truck accident lawyer from Craig Swapp & Associates to represent you. These cases are complicated, and there is often more than one party to blame. It is important to identify everyone responsible so that you can name them in your claim, thereby increasing the likelihood of receiving full compensation. How Badly Were You Hurt in the Semi-Truck Crash? Truck accidents can lead to bad injuries because of the size difference between a semi-truck and your car. The type of wreck can also make a difference. For example, in a jackknife accident, an 18-wheeler can hit multiple vehicles, causing a victim to be hit by the semi-truck and by other drivers. If you were severely injured and have suffered serious injuries, you could be entitled to substantial compensation. Working with a Taylorsville truck accident lawyer will help you get the money you deserve. Keep in mind that even if your injuries were minor, you can still sue as long as someone else was to blame and your injuries required medical care. Semi-truck accident cases are not straightforward because more than one party could be at fault. Unlike a personal vehicle, the truck could be driven by one party but owned by another. Sometimes, multiple parties are involved in the operation of the vehicle. Breaking this down is necessary for suing the appropriate and responsible party. After an 18-wheeler accident, evidence needs to be gathered to prove why you are innocent and someone else is to blame. We can review accident reports and photographs, as well as interview witnesses to build a strong case for why you deserve compensation. Given the complexity of semi-truck collisions, we may also conduct depositions to ask the trucking company or trucker questions while under oath. This allows us to learn about maintenance records, accident histories, and other relevant data. You deserve to be paid for how your injuries have impacted your quality of life. Unfortunately, many victims will leave money on the table by only seeking compensation for medical bills and lost wages. This is a problem. Money for medical bills does not go to you. It goes to pay your doctor instead. Money for lost wages is money you would have earned anyway had you only been able to keep working. Essentially, you are no better off financially. We seek non-economic damages to pay for your pain and suffering because this is the best way to compensate how you have personally suffered. If the insurance company is not willing to pay the full value of your claim, your best option will be to go to court. Get help after your semi-truck crash by speaking with a Taylorsville truck accident lawyer in our office. 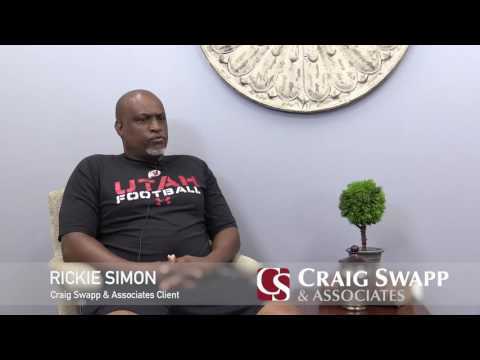 The team at Craig Swapp & Associates is here to assist you and can protect your rights. To get started, call 1-800-404-9000 or complete the form below to schedule a free consultation.